Synergy S&T is pleased to partner with 4C Strategies – the leading provider of integrated risk, business continuity and crises management software EXONAUT®. 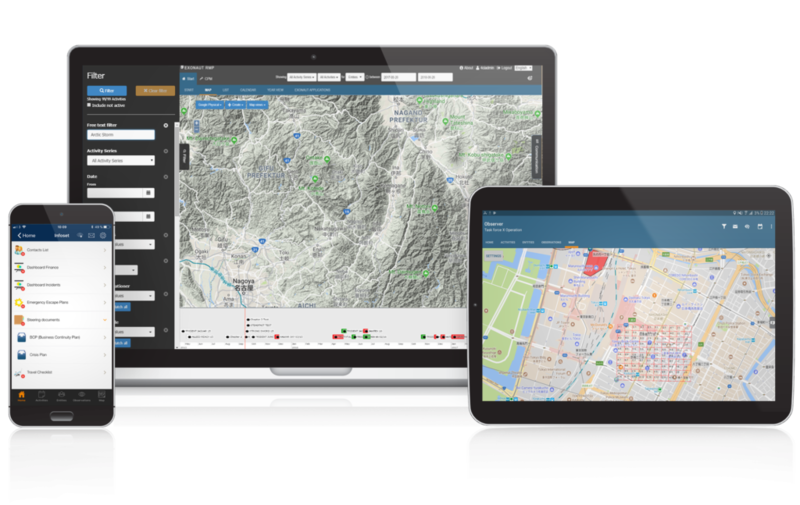 EXONAUT® is designed to be used by risk managers, compliance officers, CSOs, CISOs and exercise managers to support them in their day to day operations. The reports and dashboards are meant to give senior level management an overview of the current readiness levels (risk exposure, compliance, training status, risks etc). Data capture interfaces are designed to support first line operators with limited or no domain knowledge, by using simple and clear interfaces. Second and thirds line assurance on the other hand has access to intuitive interfaces to slice and dice the data as appropriate for analytical purposes and to drive performance. All activities are supported by workflows and configurable notification rules to ensure that work is performed as intended.